Excitement fills the air right now with the official release of the much-anticipated edition of the Air Jordan 2011 Q Flight. 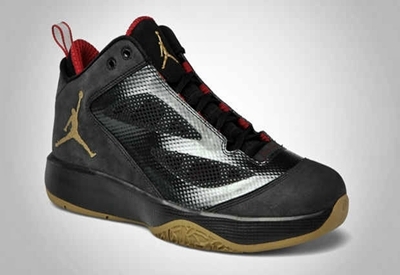 The Air Jordan 2011 Q Flight, which is one of the most well-accepted new models from Jordan Brand this year, is now available in Black/Metallic Gold – Varsity Red that is tagged as the “Year of the Rabbit” edition of this model. This new silhouette from Jordan Brand features a black upper part made with fuse and suede combined with a metallic-gold outsole and Jumpman logo plus varsity red accents on the tongue, making it arguably one of the best, if not the best colorway of this shoe! Grab one now and you will surely get your money’s worth!